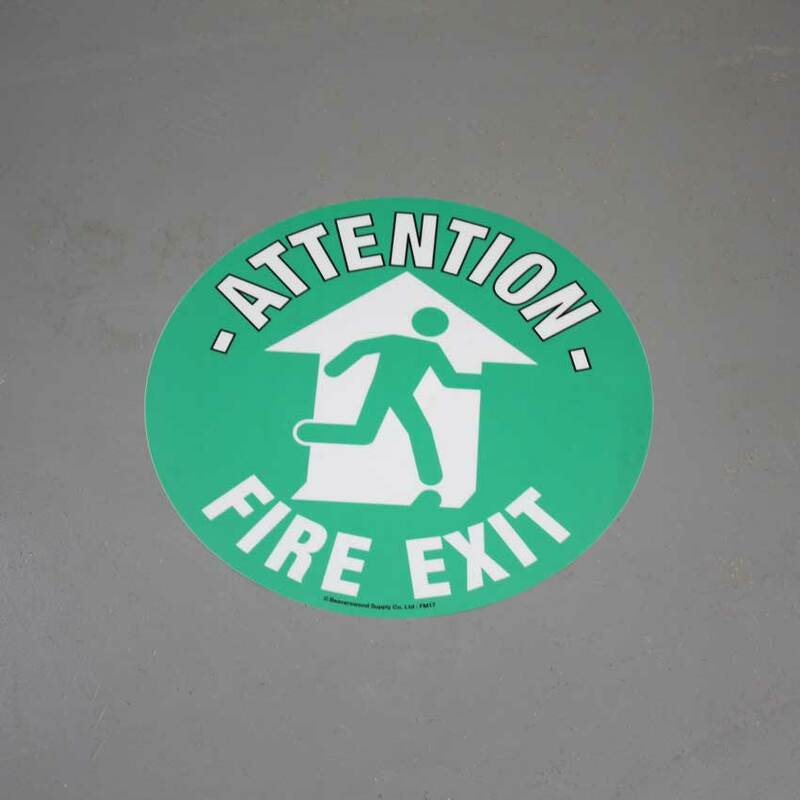 This fire exit floor sign / graphic floor marker has a illustration and arrow to indicate the direction of the fire exit for a swift escape in the event of a fire. 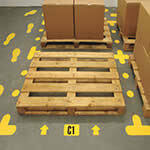 The Fire Exit Floor Graphic Marker is just one of the health and safety signs that are available online to help safeguard organisations fulfil their health and safety responsibility and duty of care. The Fire Exit Floor Graphic Marker, as with all the other floor signs, is highly visible, durable and cost effective, and sends a clear and simple message. 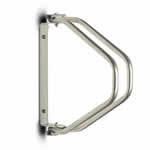 It clearly directs both employees and visitors to a commercial or industrial premises to the nearest emergency escape route in the event of a fire or other emergency. This is a legal requirement. 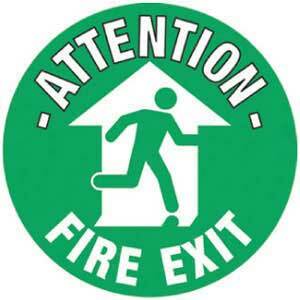 Fire exit signs should be placed at all appropriate points in the building and be clear and visible to all individuals. 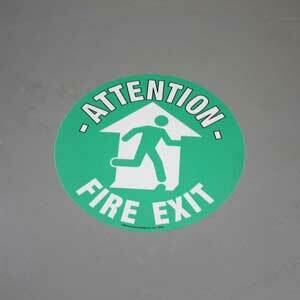 The Fire Exit Floor Graphic Marker signs are green and white and come in two varieties. Both have an image and a large arrow pointing in the direction of the nearest fire exit, while one has additional lettering stating ‘Attention - Fire Exit’. The floor signs can be used in conjunction with a range of other green and white arrow signs that will assist individuals navigating the building. 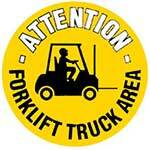 These signs are available in self-adhesive vinyl or rigid PVC. 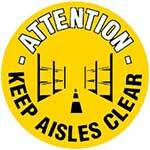 In addition, fire exit, fire extinguisher, emergency exit and assembly point signs can be purchased to create a joined-up approach when directing individuals safely out of a building.